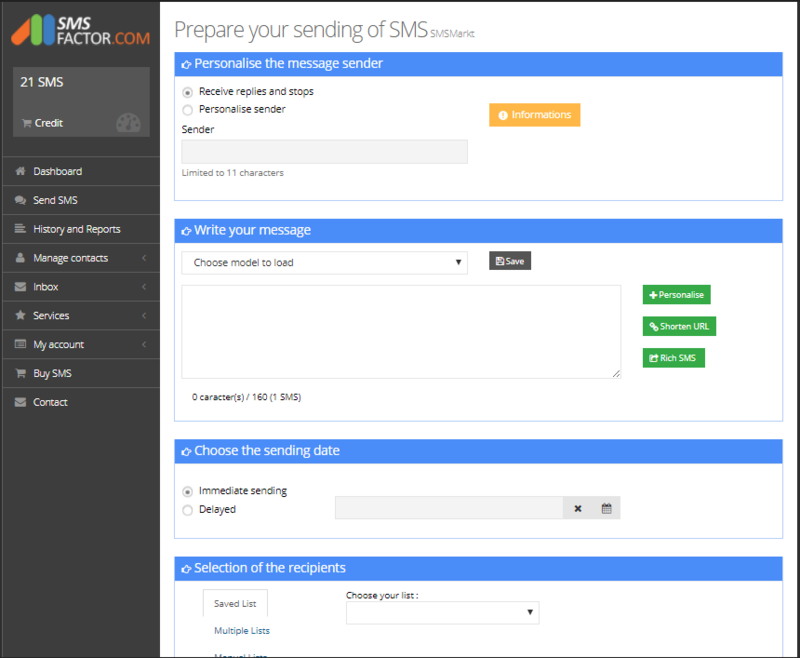 SMSFactor: SMS platform for marketing and alerts SMS sendings. 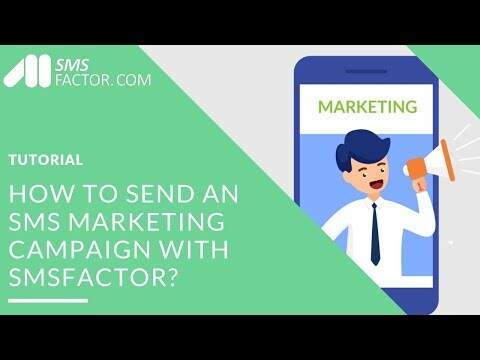 Thanks to SMSFactor you can send your SMS campaigns quickly, easily, and securely. The SMS adapts itself to all business sectors, it will be adapted to your needs as long as you are seeking to an effective communication tool. 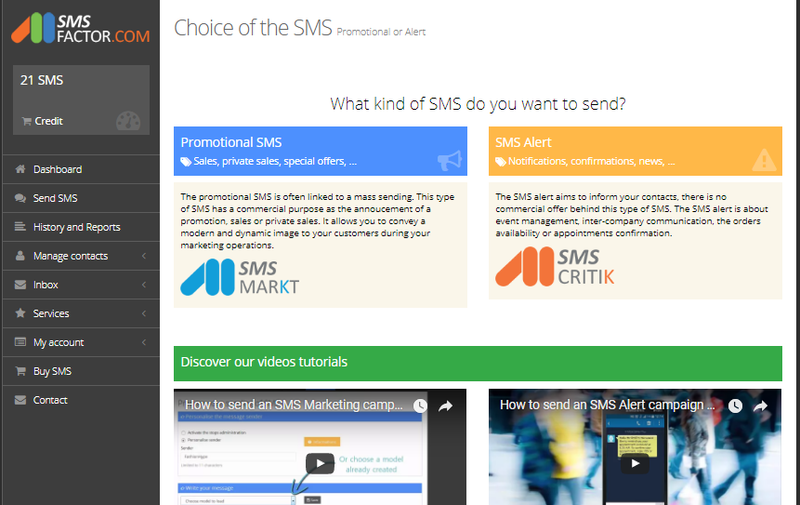 Marketing SMS: it allows to send offers and promotions to your customers and prospects. This type of SMS is very effective! SMS Alerts: thanks to the SMS alerts you can easily communicate internally, send appointment reminders or inform your customers. The SMS alert is a management tool. 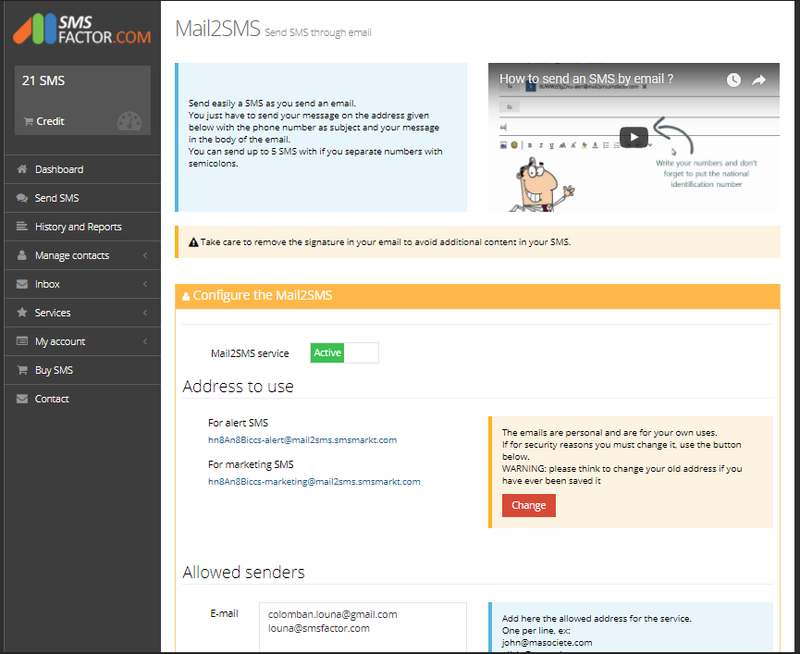 SMS API: our SMS API allows to integrate SMS sendings directly into your website or software. It will allow you to manage yourself your SMS sending’s. - Several other modules that you can find directly on our website! Les prix correspondent à des envois de SMS en France.